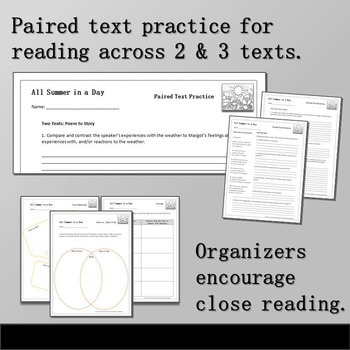 Over 40 pages of slides and activities! 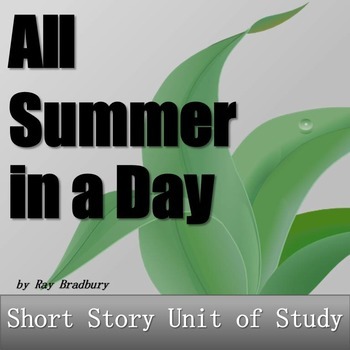 “All Summer in a Day” by Ray Bradbury is one of my favorite short stories to teach. Beautifully written, it is a perfect mentor text for teaching figurative language. The conflict in the story also offers the opportunity for some social-emotional focus on bullying. 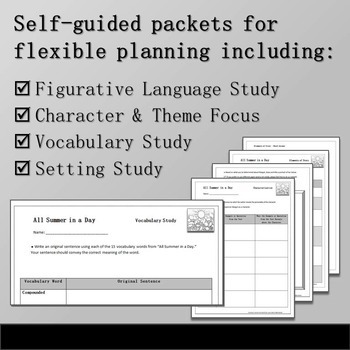 This short story bundle includes everything you need to teach as in-depth a unit as you would like. Aligned to the Common Core. 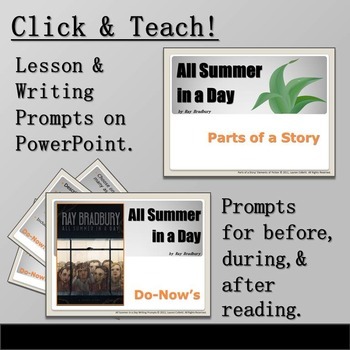 "All Summer in a Day" Lesson & Activity Bundle created by Lauren Colletti is licensed under a Creative Commons Attribution-NonCommercial-NoDerivs 3.0 Unported License.